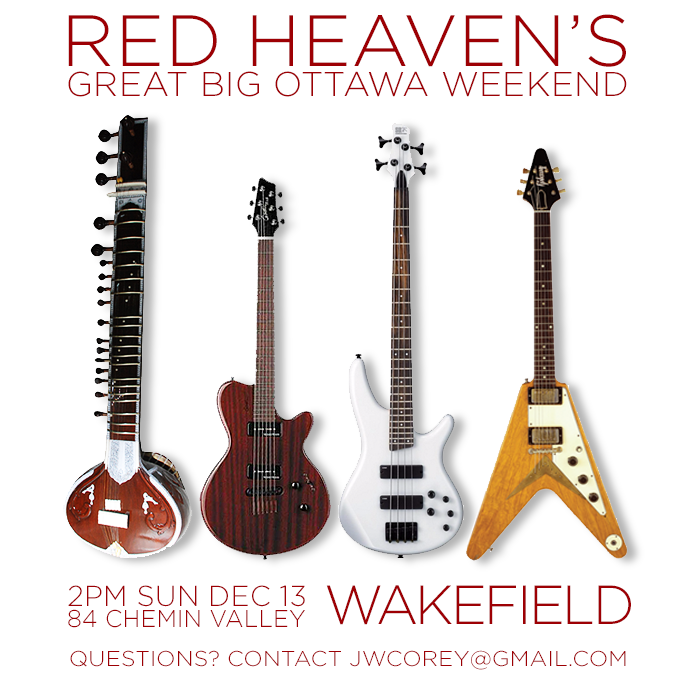 We forgot to tell you about last night’s house concert in Ottawa, but we have another today at 2pm EST in Wakefield, Quebec. 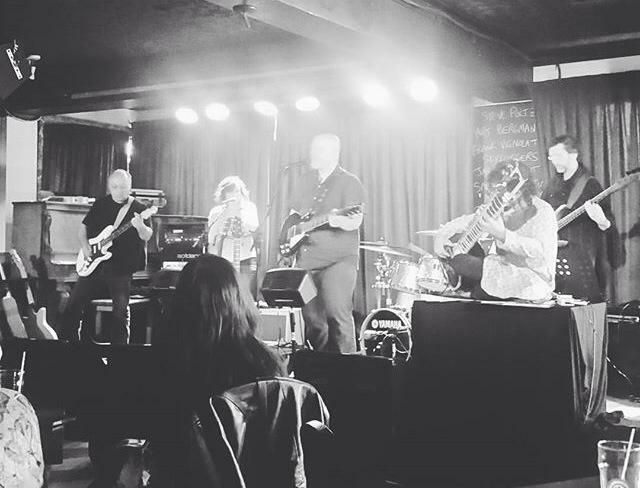 It’s a rare appearance of four band members: JW Corey Tamas (guitar), Anwar Khurshid (sitar), Pierre Tremblay (guitar), and Rob Riendeau (bass). 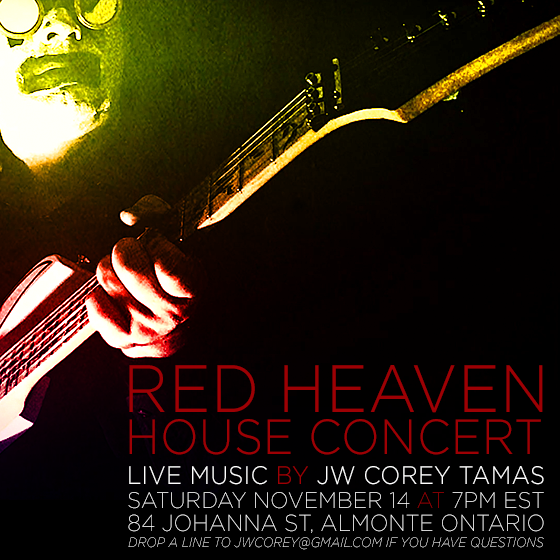 JW Corey Tamas of Red Heaven plays songs from Moth and Amplification in an intimate setting… his own home. Free to enter, lots of comfy chairs, and a cat to pet if you’re so inclined. Here’s the Facebook event page. Hope to see you there. 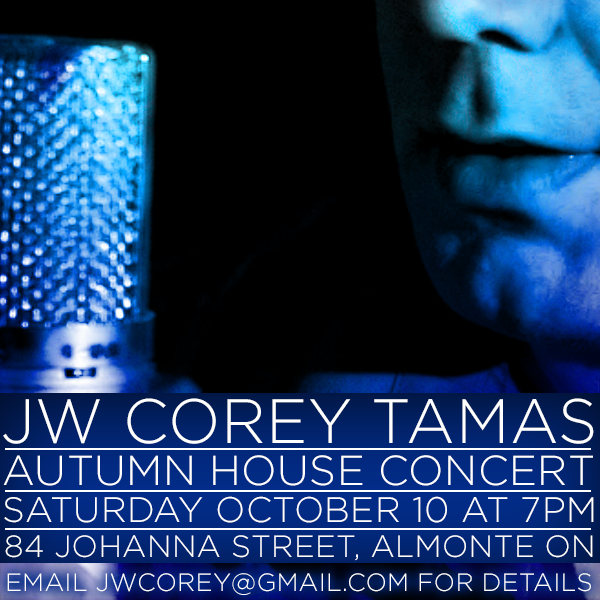 The next house concert is coming up faster than I may be ready for! October 10! 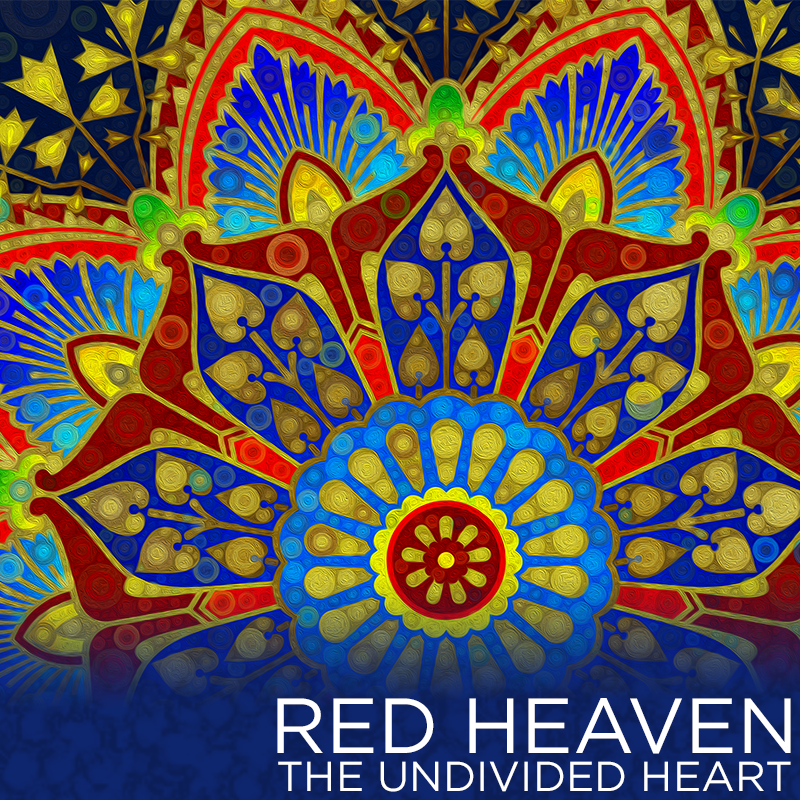 Check out the event page, join in, and please do come to listen. 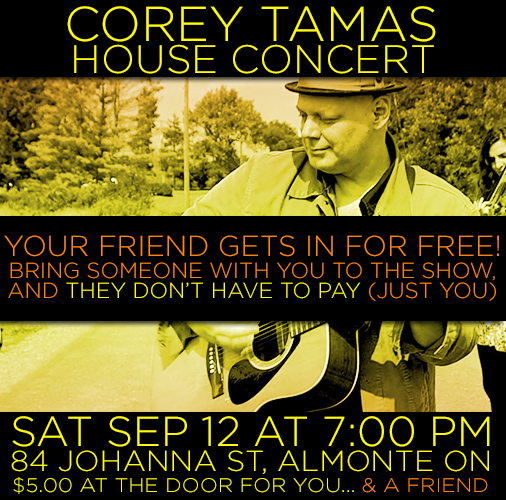 This Saturday, September 12, JW Corey Tamas (singer and guitarist for Red Heaven) will be doing a house concert at his home in Almonte, Ontario… and he wants you to bring a friend: Admission is $5, but if you bring a friend with you then they get in for free. Click here for more details, and feel free to spread this image around on Facebook and stuff.